Best Termites Control has accepted to do a job for a construction company treatment to 2 units in Malvern Area (pre-construction termite protection solution). The subfloor was steel structure, but the surveyor has asked the builder to do termite protection. The reason the termite treatment is required even the subfloor structure is steel is, termites are able to bridge over the steel and reach the timber. Termites have a special way of building mud tunnels to travel inside them away from the light to reach the timber. Once they reach the timer structure they start eating it, which will result in damaging the structure. Best Termites Control able to do Chemical or Physical barriers to such example. We usually submit 2 proposals to our clients to choose from. Best Termites Control always maintains a very high technical understanding to all site satiations and needs. We always endeavour to submit the best and most efficient termite protection systems to suite our clients’ budgets. Best Termites Control is qualified to install both physical and chemical barriers including HomeGuard Blue termite protection for constructions. 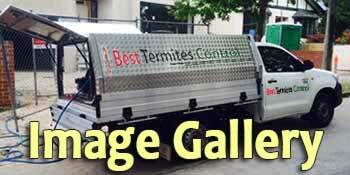 Call now to get a safe and reliable termite treatment for your home! For more details, call free now on 1800 780 820 or use the online contact form here.